Better known as Italy's industrial powerhouse, Milan is rapidly gaining a reputation as one of the country's artistic assets too. The Prada fashion house has this week opened a 19,000-square-metre new base for its art foundation in the city, using a former distillery which has been altered and extended by the famous Dutch architect Rem Koolhaas. The Fondazione Prada also has a bar designed by the filmmaker Wes Anderson, who used classic Milanese cafes as his inspiration. "There's no museum of contemporary art in Milan and no real dedication from the municipality to promote" such art, Astrid Welter, project director of the Fondazione Prada told the media. "This is why it was seen as a necessity to come in with an offering." 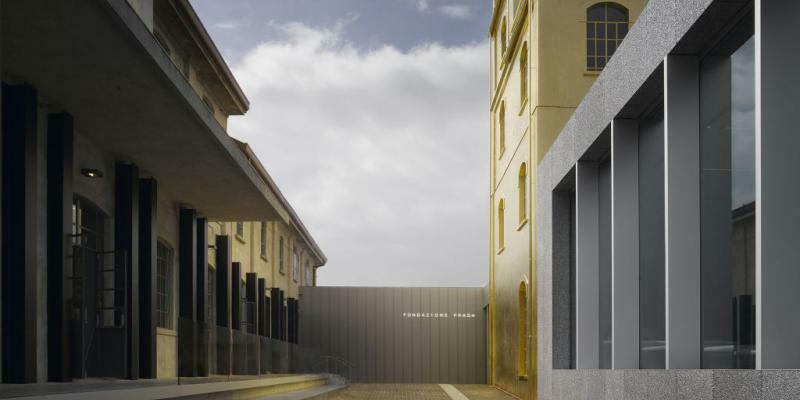 Prada's founders Miuccia Prada and Fabrizio Bertelli own a large number of artworks that their Fondazione's curators will use to place exhibitions in the new space, Welter said. The new centre is in a dilapidated and neglected part of Milan, and aims to provide the area with some much needed creative lifeblood. Fondazione Prada already has an HQ on the Grand Canal in Venice which opened four years ago. The curators are keen to stress that the new building is all about art, not marketing designer goods.